Your pre-teen son will experience a lot of challenges that come with the many changes happening to his body. Because of this, it is important to provide your young man with support in different ways, one of which includes ensuring that the toys you give him help him with this exciting yet daunting transition. Children, especially boys, usually have a fascination for electrical and electronic devices. This is especially true these days when technology continues to make great advancements. 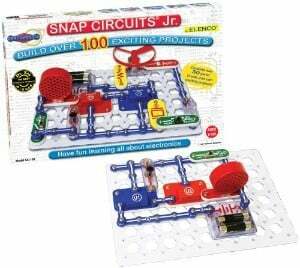 With this discovery kit, your 12-year-old son will be able to build and design electrical circuit models and electrical devices like photo sensors and adjustable-volume sirens. The kit comes with 30 parts and instructions for more than 100 projects. What's Great About It: This set is top quality, making it a recipient of the following awards: Dr. Toy 100 Best Children’s Products, Dr. Toy Best Educational Products, and The National Parenting Center-Seal Approval. With this solar robot by OWI, 12-year-old can enjoy building and playing with humanoids, vehicle-type robots, and animals like dogs, crabs, or turtles. Solar powered, this product does not require batteries. Being an educational toy, this can be a good addition to a home-school curriculum. 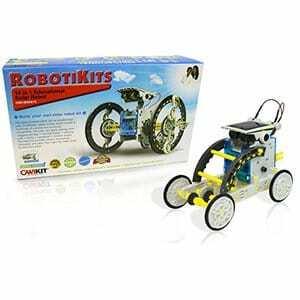 What's Great About It: It is suitable for both beginners and experienced robot builders. It helps kids develop problem solving skills and creativity, given the fact that it is a construction toy. Just get ready to study the directions for a better experience. Outdoor games are fun and beneficial, especially for growing kids. The good thing about this toy is that you can enjoy it at the park, the beach or your own backyard. 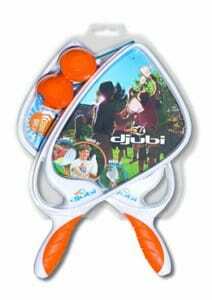 Djubi Classic comes with two rackets, two balls, one launching hook, one catching net, and an ergonomic handle. Releasing the ball is easy, and the ball can fly up to 100 feet in the air. What's Great About It: It suits a 12-year-old boy very well, as it helps strengthen their muscles and enhance their balance and coordination as they go through physical development. Be careful not to play too aggressively as you may tear the net. If your son loves to draw, this artistic item may be perfect for him. Using spinning and vibration, this doodling robot makes it possible to create a work of art. 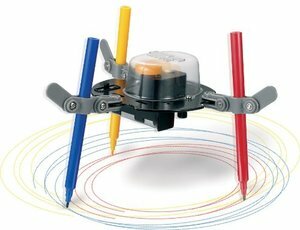 It requires adjustment of the height and angle of the robot’s colored pens, then just observing it work. This robot perfectly suits science enthusiasts particularly those interested in robotics. It does not require special knowledge or tools, so it is perfect for any skill level. What's Great About It: From arts to science, this toy covers an array of educational subjects that can stimulate your 12-year-old kid’s developing mind. It comes with detailed instructions that can help children when using it. Biking is one of the most fun activities for kids that are also beneficial to one’s health. Numerous children enjoy biking as they get to control where they go and what adventures they go on. 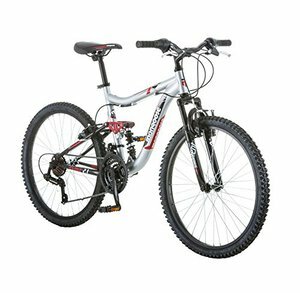 This boys’ mountain bike by Mongoose comes with 24-inch wheels. It is a 21-speed bike which helps a lot in muscle development, hence the benefit it can give to twelve-year-old boys regarding their physical development. What's Great About It: Balance and coordination are among the benefits biking can give. Moreover, it is a great form of exercise that can prevent obesity and various illnesses. Users will definitely enjoy this product, although it requires patience especially when it comes to shifting. Is your son an enthusiast of spatial matters? If so, buying this quadcopter for him may be a good move. This product comes with strong stability and resistance to stronger wind. High-quality frames protect its propeller blades and lessen impacts from collision. Your 12-year-old kid will enjoy playing with it as he can easily control it. This quadcopter also comes with a built-in HD camera that makes taking images and recording videos possible. 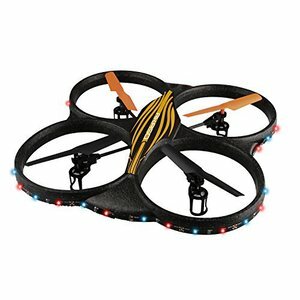 What's Great About It: This quadcopter suits all users and is quite easy for beginners. It also functions well during the day and at night, thanks to its LED lights. Controlling it can be challenging as it goes further, but that’s normal and your son will enjoy it. Want to teach your son to clean up while having fun? Start with asking him to clean up his dirty laundry with Wham-O’s Hamper Hoops. This product comes with a basketball blackboard, hoop and net, and a removable laundry bag. With its simple design, you won’t have any problem fitting it on your door. All you need to do is hang it on his door and let him shoot his dirty clothes into the hamper through the net. What's Great About It: It provides a new and fun way of teaching responsibilities to your growing son, while encouraging him to move as well. This could be a perfect for your son if he loves shooting games. It holds six Elite darts and can fire up to 90 feet. The product also comes with a rotating barrel that flips open to make loading easier. It works with most N-Strike blasters and any Elite blaster. 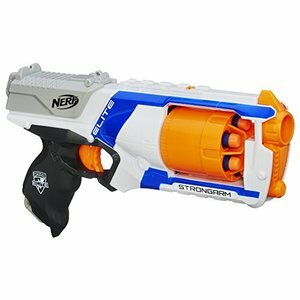 It has six Elite darts along with the blaster and user instructions. It is also easier to rapid-fire the six Elite darts thanks to Slam Fire. What's Great About It: It is good at stimulating your child’s mind, particularly enhancing his cognitive abilities as he enjoys playing a fun game. Puzzles stimulate the brain, particularly the memory parts. If you want something that can challenge your son’s mental ability, buying this puzzle is a great move. 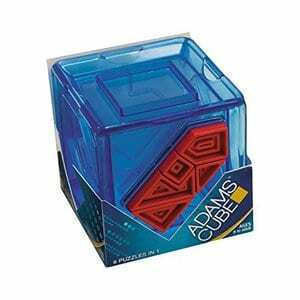 Adams Cube is like a fusion of six geometric puzzles that form a cube. It contains five puzzle pieces that your child can arrange within a polygon frame. The product comes with an indigenous design, which provides aesthetic benefits for your son. What's Great About It: Being a puzzle game, it improves your son's mental abilities, particularly recalling information and problem solving. Just be careful in handling it, as it contains small parts that small children can choke on. Does your son love playing football? If so, you may want to buy him this uniform set. It comes with an NFL team jersey and pants, and a dress-up helmet. You may also place iron-on numbers onto the jersey. The team jersey is 100 percent polyester-mesh and the team pants are 100 percent double-knit polyester. The pants also come with an elastic waistband and cuffs. 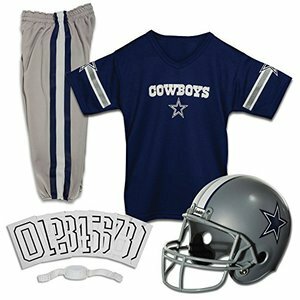 What's Great About It: While your son may also use it in playing football, he can wear this outfit as a costume or while supporting his team during a game. Just make sure to be careful with it, as it has small parts that may harm your smaller kids. 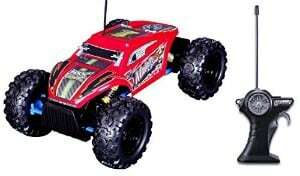 This will certainly be a good buy if your 12-year-old boy is an enthusiast of remote controlled vehicles. It comes with two motors for steering and acceleration. The vehicle also features articulated front and rear wheel suspension. The tires come with deep treads that makes gripping easier on any surface. The product requires six AA batteries for the vehicle and two AAA batteries for the controller. What's Great About It: This is especially beneficial to 12-year-old kids who want to improve their reflexes, visual motor coordination, spatial reasoning, and problem solving skills. This is a perfect gift for kids with interest in architecture. 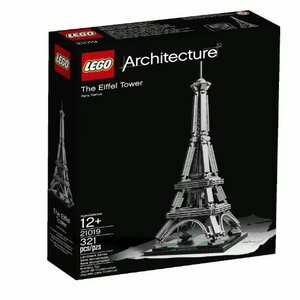 With the LEGO bricks, your son can make his very own interpretation of the famous Eiffel Tower. This building play set is easy to use because it comes with a booklet showing design details, history, and architecture of the tower. Once built, the tower will stand 12 inches high with a width of four centimeters and depth of 11 centimeters. What's Great About It: It enhances your kid’s ability and interest in design, architecture, and history. It also develops creativity and problem solving skills. This is easy for those who are good in following instructions. 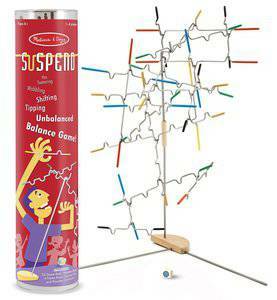 If you’re looking for a game that focuses on balance, Melissa & Doug’s Suspend Family Game would be a perfect choice. This game set comes with wooden connectors, a wooden base, frame, game rods, and a colored dice. Apart from balance, players also need to find the game rods’ correct placement. What's Great About It: The game enhances each player’s cognitive skills, hand-eye coordination, and interpersonal communication skills. Not only can it help your child in his mental development, but also in becoming a good team player. It can be challenging for younger children, hence the age recommendation for older kids. Does your child dream of becoming a professional baseball player someday? If so, this product can definitely help in his early training. 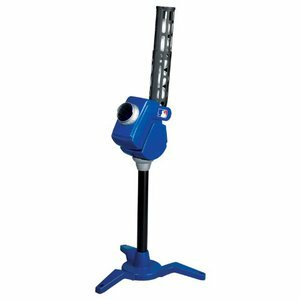 Being a pitching machine, it helps the user adjust the height of the pitches he makes. It comes with a red light indicator that is beneficial to beginners. By using this, they can learn about the different types of pitches and how to properly do them. The product also comes with six white AERO-STRIKE plastic baseballs. What's Great About It: It strengthens the players’ arm muscles and enhances a child’s visual motor coordination. It also develops strategic thinking as the player learns about the various types of pitches. This product allows your child to play a sport in the convenience of their own home. This sport usually involves ice, but this item enables your kid to enjoy it in a normal space. Using their hockey sticks, children can play with this item in a spacious area of their homes. 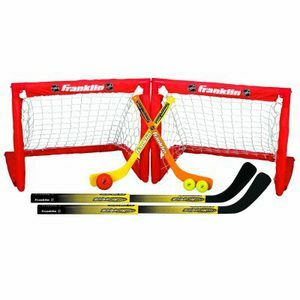 The game set comes with two goals, two adjustable hockey sticks, two mini hockey sticks, one hockey ball, and two mini foam hockey balls. What's Great About It: It is a very good gift item for beginners and an effective way to encourage your kids to be physically active. Just make sure your child is careful when handling it as it has small parts that may harm younger children. A boy’s pre-teen life won’t be complete without video games. This is true for a huge number of kids. These days, Xbox One has become more popular among gamers. It catches the interests of numerous boys, so it is definitely one of the best gift ideas for your twelve-year-old son. This bundle uses more advanced technology that enhances the players’ experience. 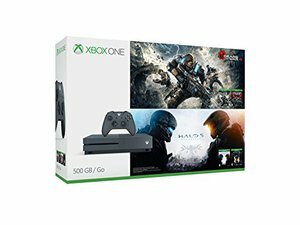 It features Bluetooth technology and texture grip, and is compatible with Kinect for Xbox One. What's Great About It: Because it uses advanced technology, it can provide good-quality experience especially to young players who tend to have high standards with this kind of product. Make sure your son uses this product with a good balance of physical activity too. Of course, this item deserves a spot on our list of best gift ideas. Young people have a great fascination for gadgets, so this product will please your twelve-year-old boy. Basically, an iPod touch is just like an iPhone without cellular services. And the iPod touch 6th generation is just like the iPhone 6, which will please your son. What's Great About It: Made by Apple, it assures users of a high-quality product. It also uses advanced technology to enhance user experience. This is the perfect gift for 12-year-old boys who love getting outdoors and physical. 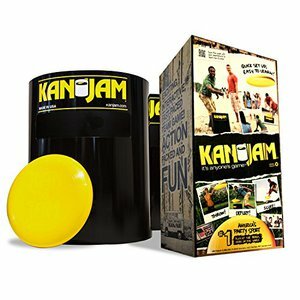 With this game set, your son will need to aim to throw the Frisbee-like disks through the Kan’s slots and his opponents should try to deflect them. What's Great About It: It is very easy to set up and contains good-quality items giving high-quality experience to users. It also strengthens the body while enhancing the player’s interpersonal skills and ability to work with a team. 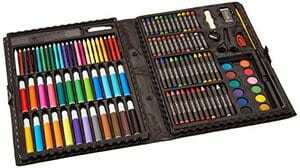 This set is best for boys who have got a talent in visual arts. The product comes with pencils, markers, pastels, watercolors, and various accessories. Needless to say, this art set allows users to freely draw, paint, and create different artworks that will amaze and impress. What's Great About It: It helps improve your kid’s creativity and imagination as he enhances his artistic skills. Playing spikeball is somewhat similar to playing volleyball. But instead of a net, you get a ring that appears like a trampoline. 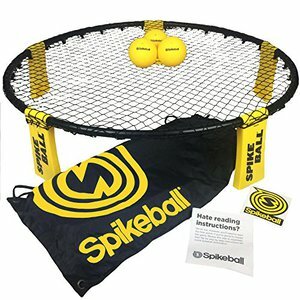 The product comes with three balls, a spikeball ring, net, drawstring bag, and rule book. What's Great About It: These days, spikeball has become a popular sport, so it’s a good thing to be able to play it. Likewise, it helps strengthen the body especially those of pre-teens who are going through physical development. Choosing the best gift item for anyone is hard, even more so if you are doing it for a twelve-year-old boy. As you already know, kids in their adolescence phase are undergoing various changes in their bodies that affect their daily activities and interests. When choosing a toy or any gift item for a twelve-year-old kid, make sure to consider his developmental needs and what will be good for his growing body and developing brain. Don’t forget to consider the feedback from customers and the reputation of your prospective brand of item. Make sure to choose a good-quality toy that suits the needs of your child. Did you know that child development experts include 12 in the young teenage years? Kids this age have already passed the baby stage and are facing a lot of changes physically, mentally, emotionally, and socially speaking. Physically, these kids grow muscles and facial hair for instance. While those happenings may look normal, know that the kids who are actually experiencing such changes may feel uncomfortable. Their daily activities should adjust to what’s happening to their bodies in order to make better adjustments. The same thing goes for the mental, emotional, and social needs of these kids. Once they enter the puberty stage, parents like you should be mindful of these needs. When it comes to daily activities, make sure to guide them and let them choose the ones that can enhance their skills linked to these concerns. As a parent, it can be really challenging to raise and handle a 12-year-old child. From simply choosing an item for your child to getting them involved in various activities, you would need to exert a really big effort to succeed. And speaking of buying toys and other gifts for them, you would need to put a lot of things into consideration in order to make the best pick. Having growing muscles, your pre-teen should enhance his physical development by engaging in physical activities. 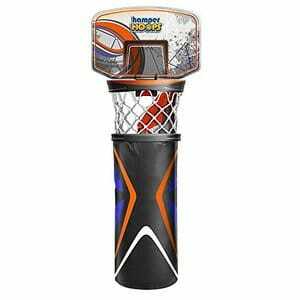 That’s why in this list, you will see a number of game sets for physical indoor or outdoor games. With those types of products, your kid will be able to get what he needs while going through physical development. Physical games are a form of exercise that can strengthen the body and improve one’s abilities. It pays to be able to play some of them. And while small children have experienced playing some games, it is important to try more challenging ones as they grow up. Once your kid enters the puberty phase, his usual activities will change. His mental exercises should level up so he can keep up with the changes happening in his brain. The puzzles and building games featured here are good for stimulating the brain. Especially designed for twelve-year-old boys, these items can help stimulate your child while adjusting to the changes happening in his brain. It helps to engage in activities that could improve memory, enhance problem solving skills, and develop creativity. While you may have educated yourself about the best items that can provide your child’s developmental needs, you should also consider the preferences of your child. If he loves engineering stuff, let him play with a building play set. If he loves robotics, allow him to experience building a robot. Pre-teens tend to be emotional. They want to be independent, but they also want to feel that someone genuinely cares about them. As a parent, it is your responsibility to tend to your child’s emotional needs in this challenging phase in his life. There are game sets on our list that require playing with a team. Those items are good for your child and can help him enhance his interpersonal communication skills. During the stage of his life, being friends with people becomes more important because it gives your child the feeling that somebody knows and understands what they are going through. Additionally, mingling with people is very important in life as a whole. That’s why it is very crucial to enhance one’s social skills at a young age. Being a twelve-year-old kid is tough and challenging. As a concerned parent, you can help your child conquer the hardships by guiding him in his everyday activities. It is important to involve yourself in his life and give him items that can provide him with physical, mental, emotional, and social support.